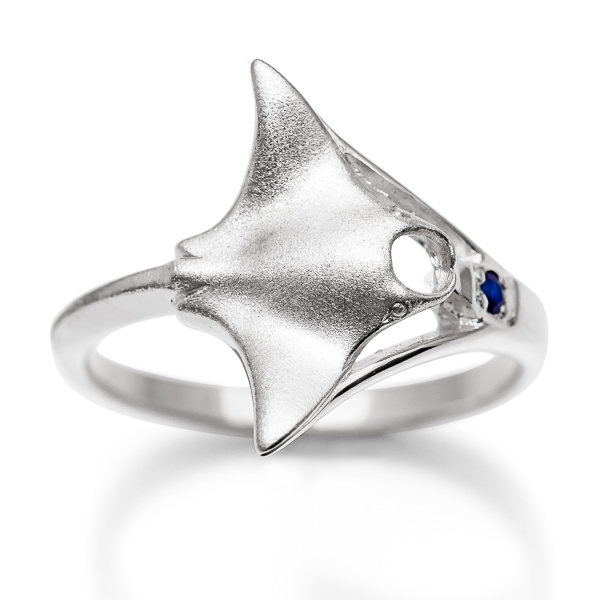 This manta ray ring features the magnificent form of a manta ray, mouth open wide as it swoops and somersaults through the water. 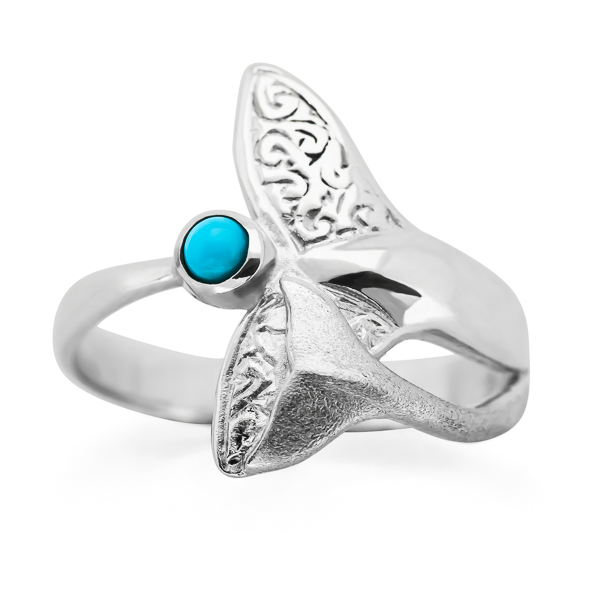 The ray has been lightly textured creating a stunning combination of finishes against the polished ring band. Set with a single glittering blue sapphire stone in deep ocean blue. 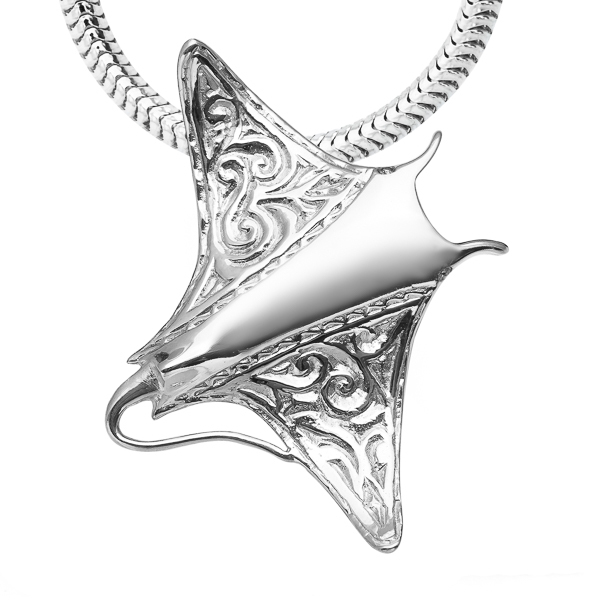 A great gift for scuba divers and underwater lovers. 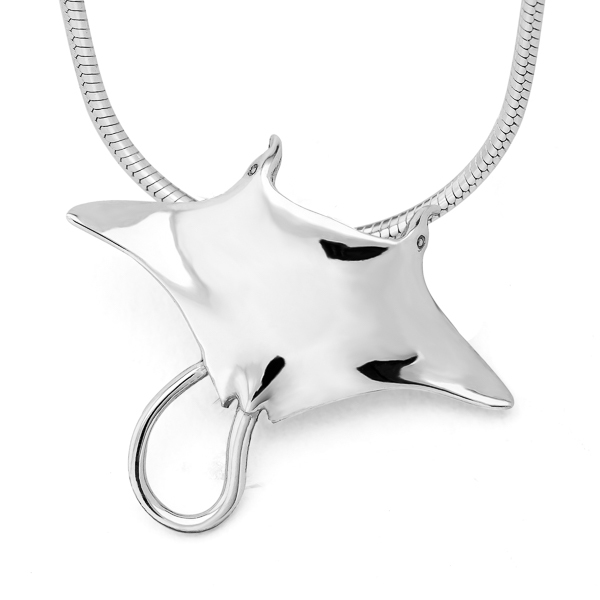 Available in sterling silver or 9 carat yellow gold (white gold, rose gold and other metals also available on request). Silver ring comes in our signature World Treasure gift pouch and gold ring comes with a World Treasure gift box and bag. Free shipping worldwide on all orders!